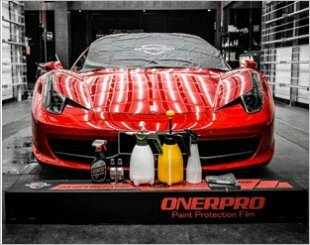 Description Ceramic Pro 9H is a permanent nano-ceramic protective paint coating. 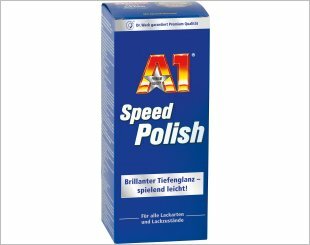 Both the super hydrophobic and anti-grafitti effect combined means that the surface coated with 9H will stay cleaner for longer as dirt and grime will not stick to the surface and the super hydrophobic effect of the coating will cause water to bead up and roll off the surface with any dirt and grime. The hard ceramic film also offers superior protection from damaging contamination and harsh chemicals. 9H forms a permanent bond to the paint work and will not wash away or break down. 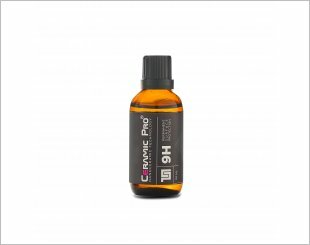 9H can only be removed by abrasion, making it a highly durable protective coating to protect your paint work from damaging contaminants. The unique formulation of 9H has enabled it to be multi-layered, which means the thickness of the coating can be increased with additional layers allowing a thicker/harder film that will increase its scratch resistance. Your car was treated with a chemical substance designed to protect it. Ceramic PRO is a very good protection against many influences. The maintenance is the most important after Ceramic PRO treatment which will impact Ceramic PRO longevity. Using microfibre cloth and car shampoo is sufficient. New & Used Vehicles are covered for the life of vehicle ownership if annual service requirements are met. Failure to undertake an annual service within the required period will change the period of cover to “5 Years” from the date of the last service which cannot be reversed. Once the 5 years has transpired the warranty will be terminated. Warranty cover is only valid if the Approved Applicator has issued a Warranty Card and it has been registered within 30 days of application. very durable, giving out a very deep gloss and no one in the market can dare to give lifetime warranty. More worth it than those membership grooming.